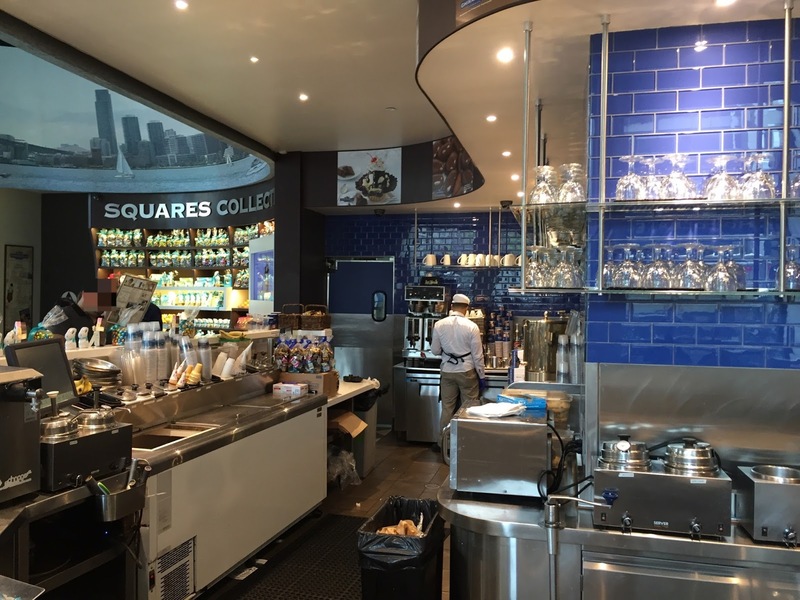 I went to Ghirardelli Chocolate shop on Montgomery and Market Street in San Francisco. 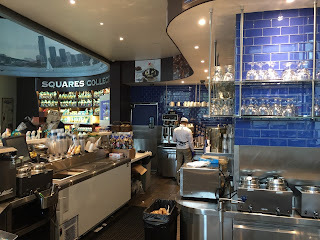 They sell chocolates and also serve ice cream and drinks, even they have tables and chairs inside of the shop. 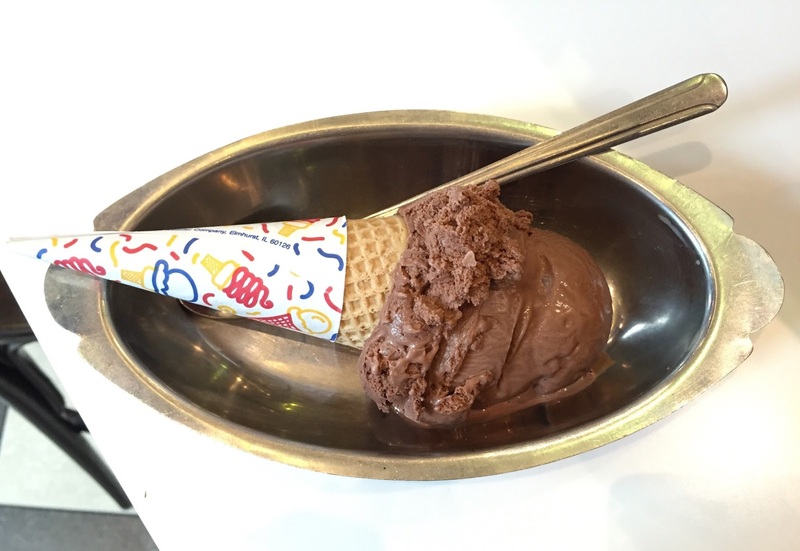 I chose a scoop of Ghirardelli Chocolate ice cream on a Plain Sugar Cone. When I paid, I was given a numbered plate to take it with me to a seat that I chose. 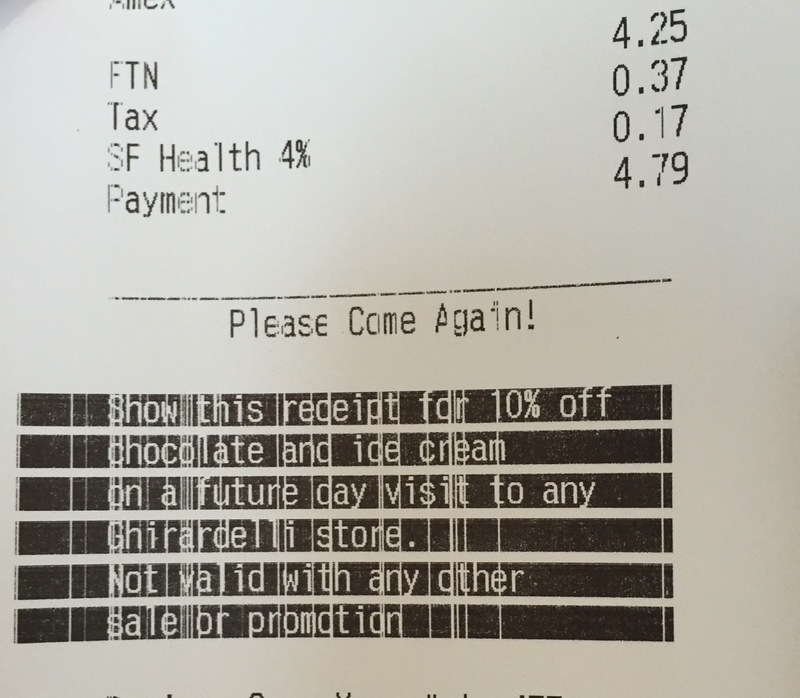 At the bottom of the receipt, it says, "Show this receipt for 10% off chocolate and ice cream on a future day visit." I chose a counter table and waited for my ice cream. There're a generous amount of ice cream on the cone. 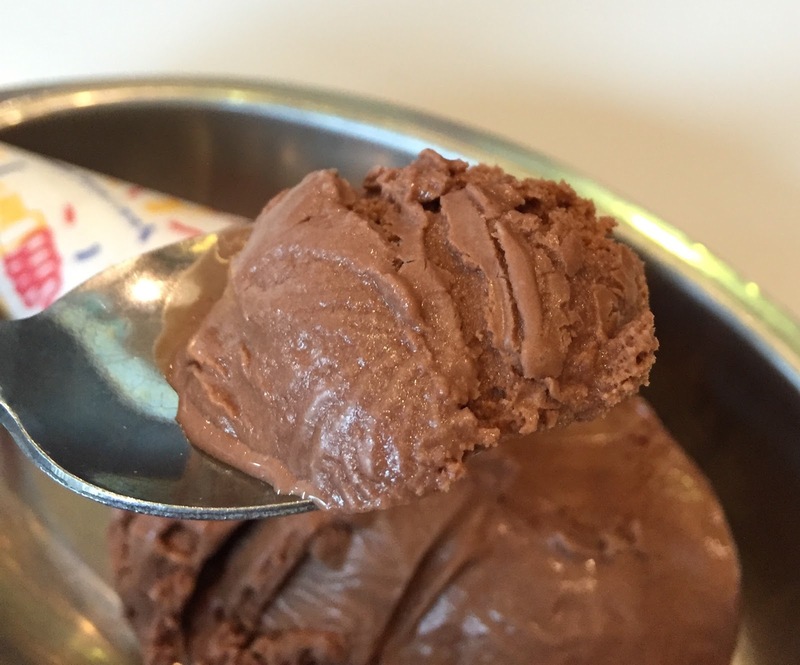 The ice cream was smooth and the chocolate-brown color was even. 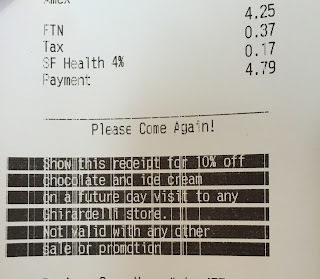 I started eating the ice cream by holding the cone at one point. It's sweet but not too rich, and I enjoyed the full of chocolate flavor. Sugar cone was crispy and fragrant, and the ice cream was filled to the middle.